Let us entertain you and make it a night to remember! Please see our friendly staff for more information. 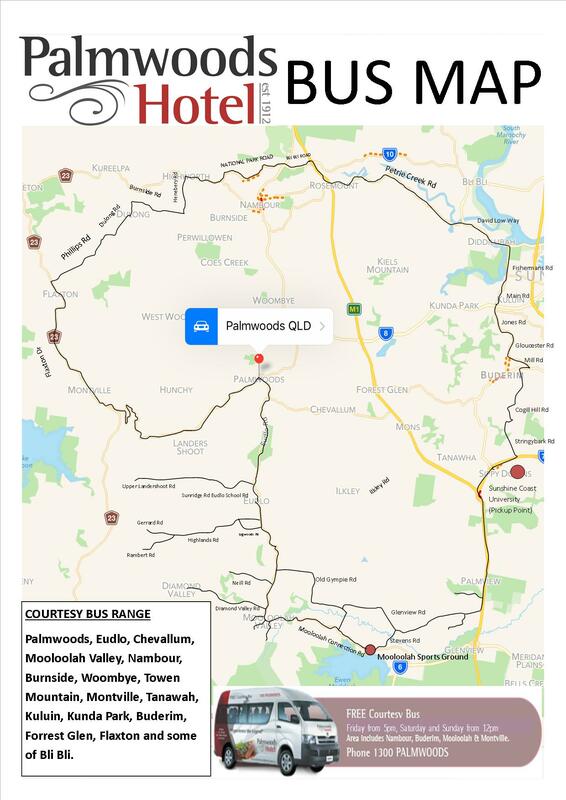 Nestled in the Sunshine Coast Hinterland, Palmwoods Hotel is a family-owned establishment with an enviable reputation for its great food, including legendary steaks, and quality entertainment. Check out our What's On listings for entertainment acts coming up. Our recently renovated dining area is a great option for lunch or dinner, 7 days a week, comfortably seating up to 300 with about half in the beer garden and the rest split between the veranda and inside. We also cater for functions and weddings. Being a family-friendly hotel, we have a fully-equipped kids room to keep the little ones entertained while you relax. It features the latest video games and an active play gym – all at no cost.